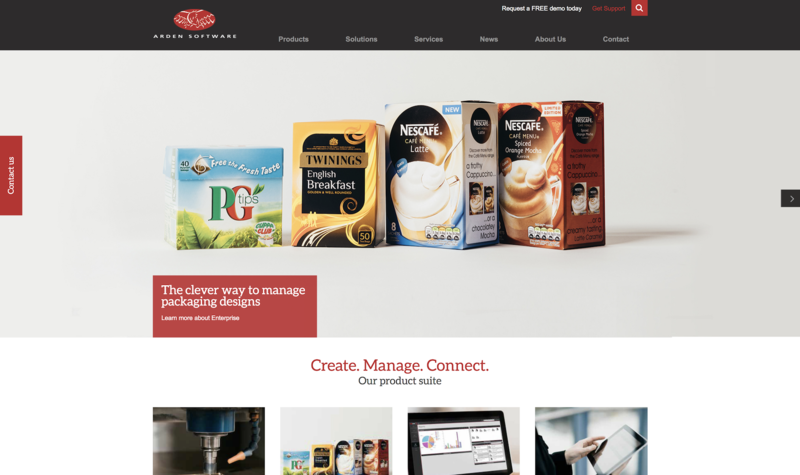 The new-look site features improved functionality, design and navigation, making it quicker and easier to find up-to-date product and technical information about our extensive suite of software available for the packaging and printing industry. The new and improved website has been designed to make it easily accessible via a range of web browsers and devices and has been optimised for mobiles and tablets. Visitors to the site can read about our latest news, events and product releases and find out all they need to know about our suite of cutting-edge software including Impact CAD and WEBcnx. The website also provides direct access to our Online Support Centre for customers and resellers, and potential new recruits can check out our job vacancies in our dedicated careers section. Matthew Hewitt, business development manager at Arden Software, said: “Arden Software prides itself on remaining at the forefront of technical innovation, so we are delighted to unveil our new-look website which will ensure our customers, partners, re-sellers and stakeholders can find out about our latest news and product information quicker and easier than ever before. In addition to the new website, we are also re-launching our e-newsletter – The Byte – keeping our customers and stakeholders up-to-date with all our news and developments. Sign-up to receive our e-newsletter – The Byte – now.